This will make you smile, cry, angry, sad and believe. But it is fiction. In the pioneer days of this country, there were "Indian troubles". In an effort to mitigate the tensions, President Theodore Roosevelt and the Native leaders made a deal to trade 1000 "white" women for 1000 horses -- such a deal, eh? This is the account of the first women to volunteer for the swap, women who had no better options in life, whores, mad women, spinsters and adventurers. Many book clubs have discussed this novel in the past 20 years and we look forward to a sequel The Vengeance of Mothers due September 12th. 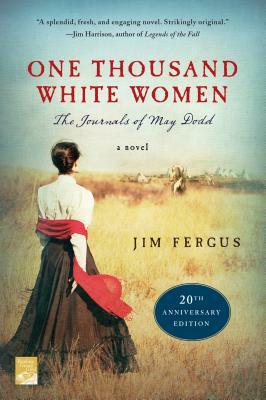 Jim Fergus is the author of One Thousand White Women, The Sporting Road, A Hunter’s Road and Wild Girl. His articles and essays have appeared in a wide variety of national magazines and newspapers, including Newsweek, Newsday, The Paris Review, Esquire, Sports Afield, and Field & Stream. Fergus was born in Chicago and attended Colorado College. He worked as a teaching tennis professional before becoming a full-time freelance writer. He lives in southern Arizona.